KIA Motors has managed to make its name in the Philippines market with some of its small hatchbacks. The company does have the bigger Sorento and the Sportage on sale, but it is more of the smaller car that gets the big credit. Currently, the most popular hatchback in the local market is the Picanto, which is said to have been born out of the earlier Pride hatchback, a car that was a reasonable and a great value-for-money. Honda bringing in new models is nothing new as it is one of the few automakers who are active throughout the year with its passenger cars. The Brio is one of the examples of how good the company is in the segment. It is a quirky little hatchback with a small engine and tremendous economy. While the Honda Brio is popular all around the world, the KIA Picanto has done exceptionally well in the Philippines. This calls for a much-needed comparison between the two economical hatchbacks. Let’s dive in. The KIA Picanto is much more rugged than you would expect from a small passenger hatchback. It has red inserts on the bumper. The front section is well crafted with a thin strip of grille followed by the massive air intakes on the bumper. The wheel arches are very prominent despite being body coloured. The projector headlamps are integrated with DRLs while the taillights have an LED unit. 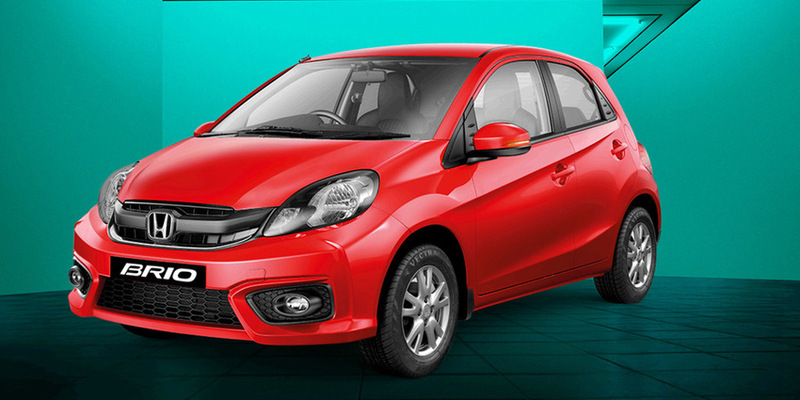 On the other hand, the moment you spot the Honda Brio, you will understand how good this cute little car looks. It has an eye-like headlamp design and black coloured lower bumper. The wheel arches are smooth and do not show up on the standard 14-inch wheels. However, the Picanto is offered in options between 13-inch, 14-inch, and 15-inch wheels. The interior of the KIA Picanto is quite attractive as the dashboard is very detailed. A display screen sits on top of the AC vents while the music player, with round knobs, are given below. The seats are finely sculpted to take up the shape of your back and provide you with a comfortable drive. There are red pipings on the black seat upholstery. The Honda Brio would surely win the battle here. The layout on the dashboard has been kept to a minimalistic and is awesome. It just has a large touchscreen display sitting on top of the dashboard and the rest of the controls are stuffed in below. Moreover, there aren’t many physical buttons and most of the things can be controlled by the round knobs. There is also an ECO-drive indicator that lights up if you drive economically. 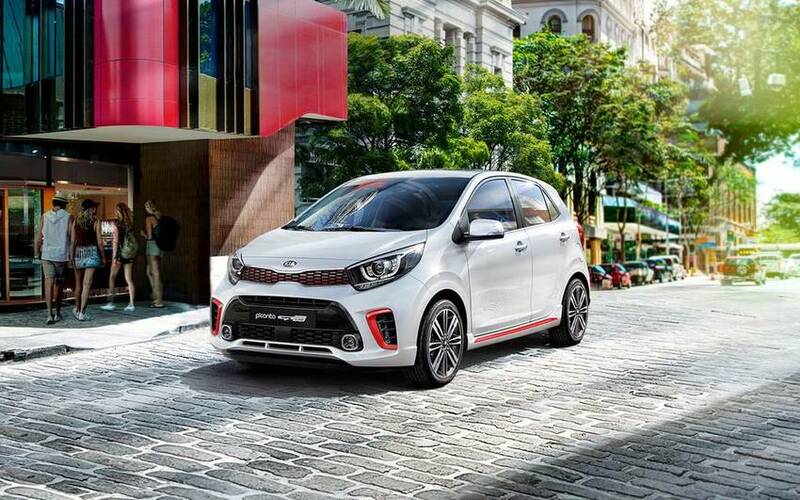 The KIA Picanto is offered in two engine trims - a 1.0-litre three-cylinder and a 1.2-litre four-cylinder. The smaller engine makes 67 PS of power and 95 Nm of torque. The bigger motor is capable of making 84 PS of power and 122 Nm of torque. The power is sent down to the wheels via a 5-speed manual in the base model while the bigger engine version is mated to a 4-speed automatic. On the contrary, the Honda Brio has just the 1.3-litre i-VTEC engine on offer, which is more powerful than the Picanto. It can make a maximum power of 100 PS along with a peak torque of 127 Nm. The power is sent down to the wheels via a 5-speed manual or a 5-speed automatic gearbox. When it comes to the safety parameter, the Honda Brio manages to do much better than KIA Picanto. The latter is offered with dual front airbags and ABS only in the top end trim while the lower variants have just one airbag and no ABS. However, the Brio has dual SRS airbags as a standard fitment along with the addition of ABS and electronic brakeforce distribution in the standard list. The KIA Picanto is a popular car for sure and has been selling in huge numbers. However, looking at the equipment list, one would find that it lacks many of the standard features that are given in the Honda Brio. The differences start to show up more when we see that the price of the base variant of both the cars is more-or-less similar (Brio is marginally cheaper) but the available features are higher on the Honda hatchback.